I had made a spicy Mexican dish that needed something to cut the heat. Corn bread sounded perfect. 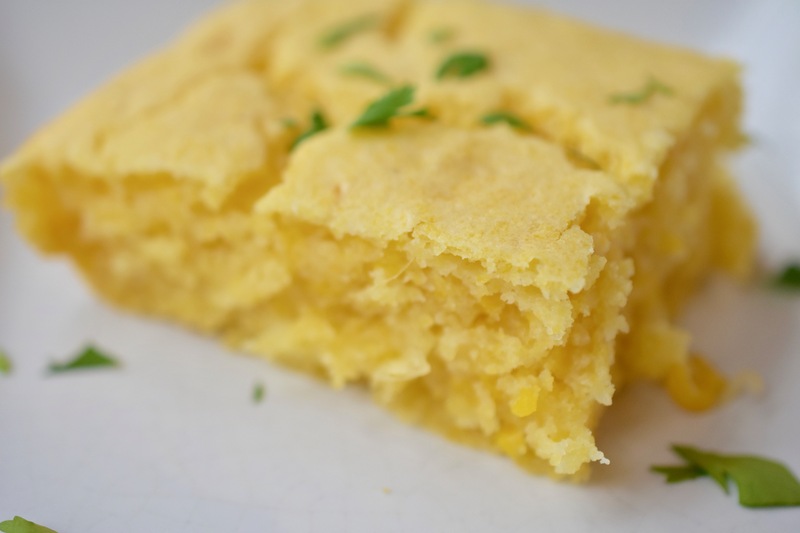 I have not made corn bread since I have been watching gluten and eating Vegan/WFPB. I found a gluten-free mix that needed just a few ingredients. It turned out just how I remembered, even without eggs and dairy. Preheat oven to 400 degrees. Line a 9×13 baking dish with parchment paper. In a large bowl mix together all the ingredients. Pour cornbread batter into prepared baking dish.